Shopping for Hello Kitty Backpacks? Sanrio has never looked so delicious and cute! 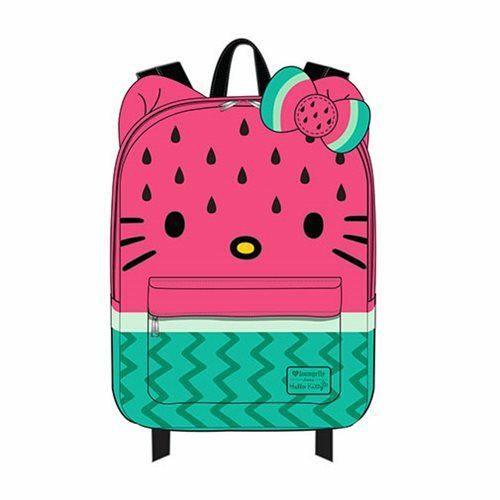 This Hello Kitty Watermelon Nylon Backpack is made of nylon with printed details. It measures approximately 11 1/2-inches x 17 1/2-inches x 5-inches. Ages 14 and up.